Cleans up to 1500 sq. ft. - 360-degree intake system - 4-stage filter - 5-year warranty. Why is the Allergy Machine the best choice? All replacement filters have 5 year life expectancy. 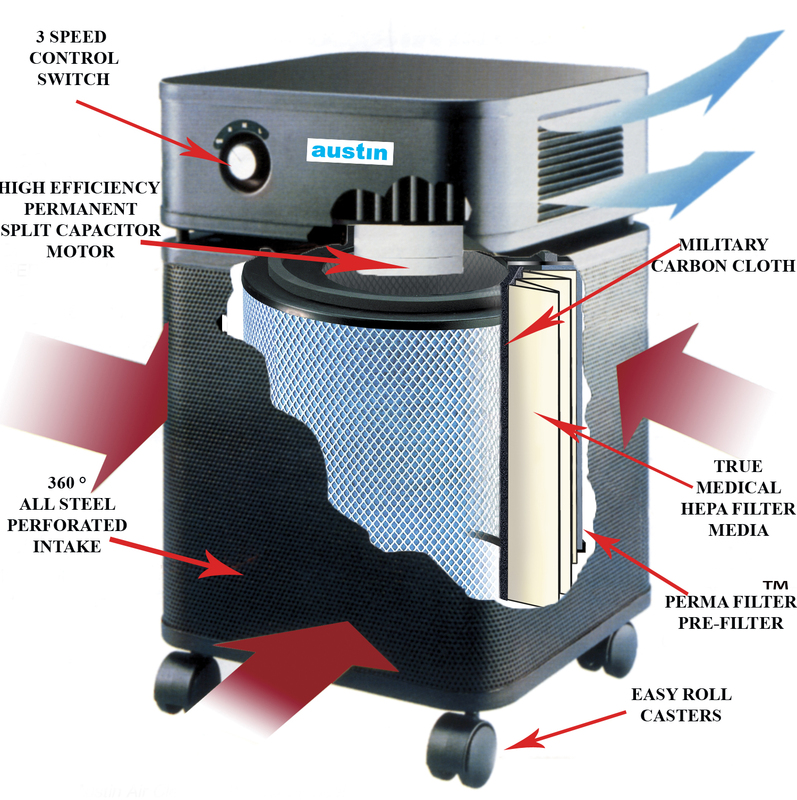 The Allergy Machine Filter delivers the best all around protection for clean air in the Austin Air Filter family. 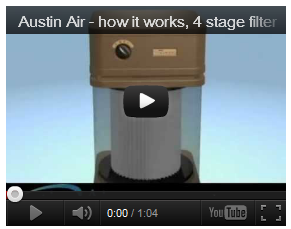 Click on the video to watch how the Austin Air 4-stage filter works.